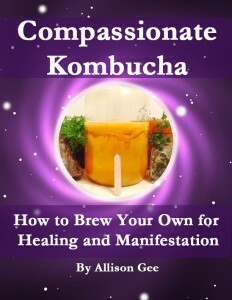 Compassionate Kombucha, My New Book! I’ve written a new book! It is about Kombucha. It was inspired by the healing that I’ve experienced with this drink. To order copies, please visit the original ordering page by following the link at the bottom of the post. Enjoy! Brewing Kombucha can be easy and fun. Consuming Kombucha can have many benefits. If you would like to drink Kombucha regularly, it can be a great skill to learn how to brew your own. In this helpful guidebook, you can learn about the brewing basics for this delicious tonic. Brewing the drink itself is simple and requires few ingredients. It is important to become proficient in the basics of brewing before you add extra ingredients and experiment with utilizing this drink for healing and manifestation. Using a drink to attain better health, more money, love, and anything you desire may be a revolutionary concept for some, but legends of love potions will no longer be a fictional fantasy in your life after reading this book. For many, the information presented here is common knowledge, but this may be the first time you have been gifted this knowledge specifically about Kombucha. 15 Responses to Compassionate Kombucha, My New Book! 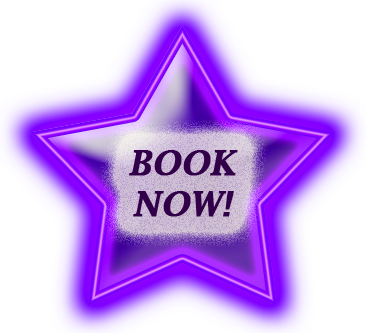 Do you mind if I quote you as long as I provide credit and sources back to your webpage and book? My site is also on Kombucha and my readers would truly benefit from some of the information you have. Please let me know if this is alright with you. Sure Emmitt, you are welcome to quote me as long as you provide credit to me. Links back to my site and a proper bibliography are always nice. I’m glad your readers will benefit from this information. Very great book. I just stumbled upon your post and wished to say that I have truly enjoyed this info on your new book. I hope you write again very soon! Greetings! I am also a Kombucha brewer and I’m starting a new innovative batch. Your book provided beneficial information to work on. You have done a wonderful job! Generally I don’t read posts on blogs, but I would like to say that your post really compelled me to click over here and get your book! Your writing style is so simple, yet so magical and informative. Your book amazed me. Thank you, you’re great! What a material of un-ambiguity and preserveness of precious familiarity on the topic of unpredicted emotions that your book has greatly improved the functioning of in my life. Family and friends may be the best resource in accomplishing your goals! My friend told me about your book. It’s essential to track your diet every day because that will make an incredibly large difference in how quick you’ll be able to get healthy. According to a study within the American Journal of Clinical Nutrition various diets produce short-term weight reduction, but long-term perseverance is harder. Your info on Kombucha really helps me stay healthy long-term. Thanks! That’s great! I am so happy to hear my book is helping you stay healthy. Pretty! This has been an extremely helpful book. Thanks for providing this information to the world. Toxins, which can be bodily wastes, may also be released from your body like when a person works out. We are all aware that losing a few excess pounds has a great deal of advantages for the long term. Do not turn for the television and sink into the couch soon after dinner! Listen to the Goddess and drink Kombucha! Hi, just wanted to mention, I loved this book. It was helpful. Keep on writing! Hello my loved one! I want to say that this post is amazing! Congrats on your new book! I stumbled upon it. Money and freedom is the best way to change, may you be rich and continue to guide other people. Way cool! I love Kombucha! I appreciate you writing this book and the rest of your work is also very good! Tommorrow the doctor will call me for the third time about my results of my pap smear. It always has been 3a..
Im so relieved cause all this days I was planning my funeral mentally, worried to death! Frustrated and unhappy! You just removed some load from my life… I will tell them tommorrow to use the wait and see approach while I will try your juice and diet.